At the beginning of the month of December every year, precisely on the Saturday closest to the Solemnity of The Immaculate Conception, the Diocese of Uromi celebrates her annual Marian Pilgrimage. On this day, the faithful from all the Parishes and Mass Centres in the Diocese keep a date with the Blessed Virgin Mary, the Mother of our Redeemer who, as the first beneficiary of the saving mission of Christ in this world, was conceived immaculately in the womb of her mother, St. Anne. The Pilgrimage this year took place on Saturday, 8 December 2018 at the Marian Pilgrimage Centre, Emu. The experience of pilgrimage this year was unique because it included priestly ordination. Rev. Fr. Anthony Osabor of Uromi Diocese and Rev. Fr. 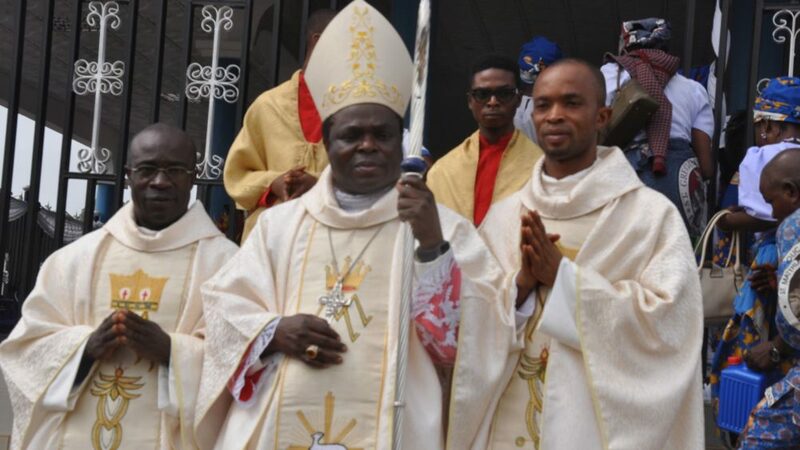 Isidore Domingo Udoh, SMP (Society of our Mother of Peace) were both ordained priest on that day through the imposition of hands and the prayer of consecration said by His Lordship, Most. Rev. 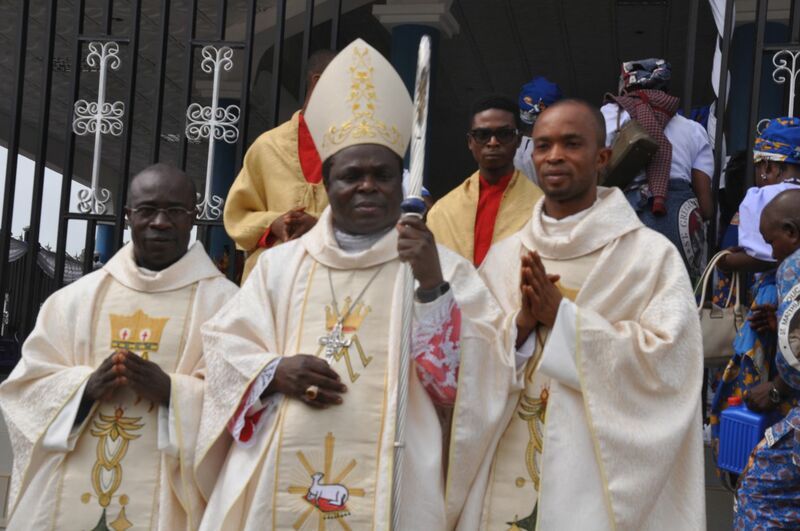 Donatus Ogun, Bishop of Uromi Diocese. We wish our newly ordained priests God’s abundant graces and blessings in their priestly life and ministry.